Customizing of the work wear is an innovative way to identify yourself and portray a professional image. 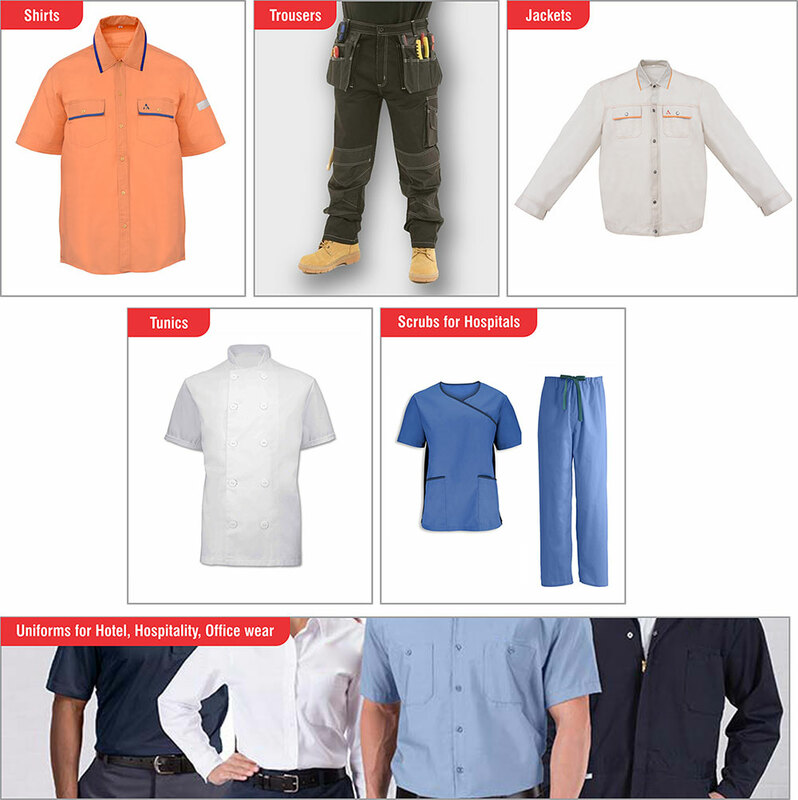 We have an in-house customization team to provide various options wherein you can choose or provide your own specifications for coveralls, shirts, trousers, jackets, tunics, scrubs etc customized. The other things that can be added is your name, your title, or a company logo that’s your very own brand identity. Additionally, you can choose different types of customization options.